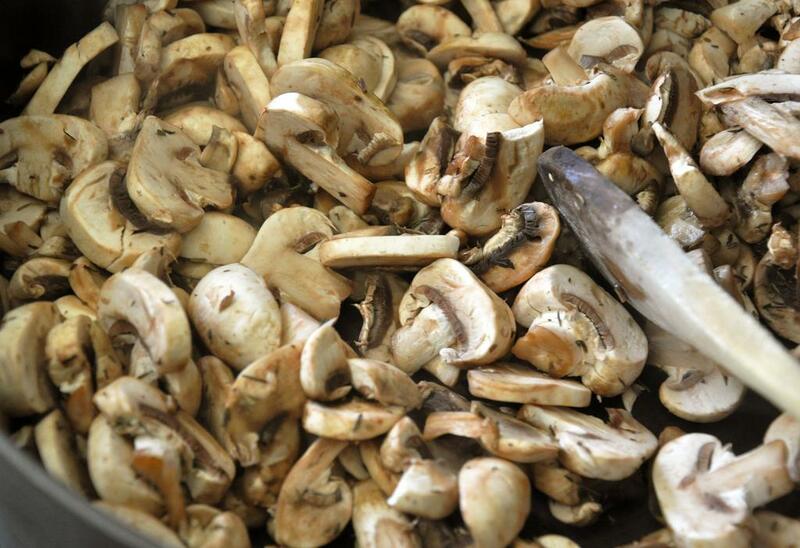 Place dried mushrooms in a small bowl and add 2 cups boiling water so mushrooms are covered. Let stand for 30 minutes to soften. 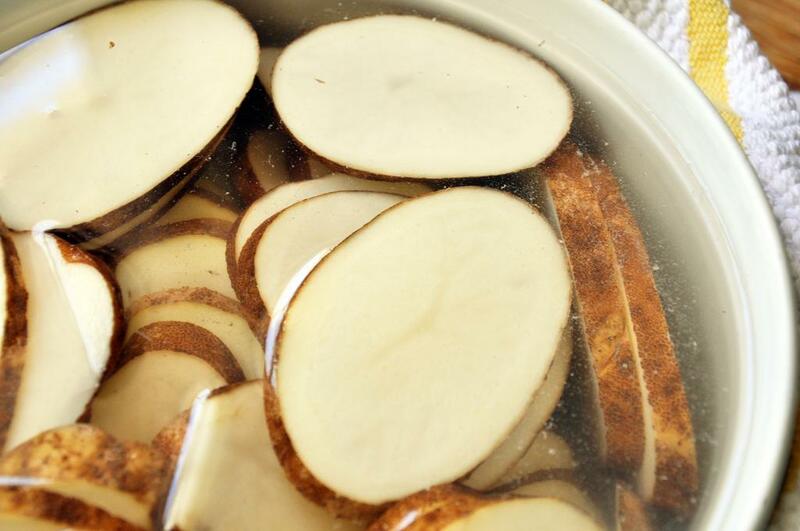 Meanwhile, put sliced potatoes in a large bowl of water so potatoes are covered. 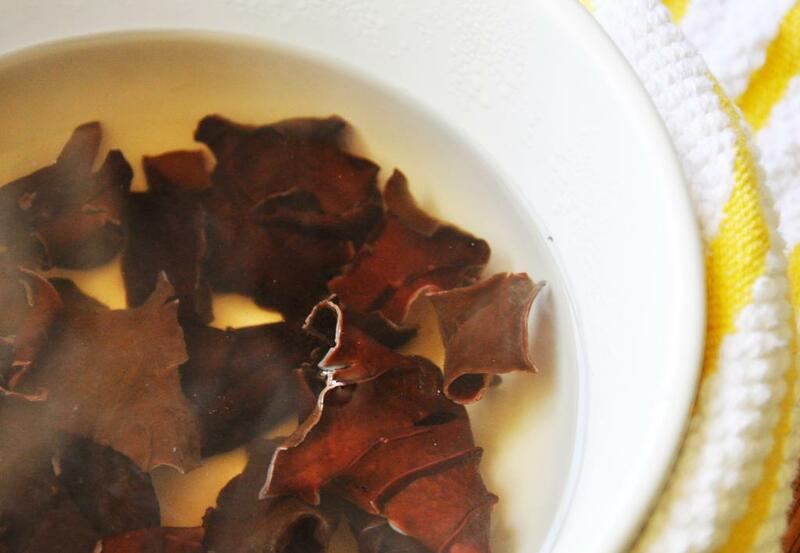 Let stand until called for later in the recipe, then drain, rinse and dry with a towel. Preheat oven to 400 degrees, and then in a large pan over medium heat, melt butter. Add the fresh mushrooms, thyme, salt and pepper. 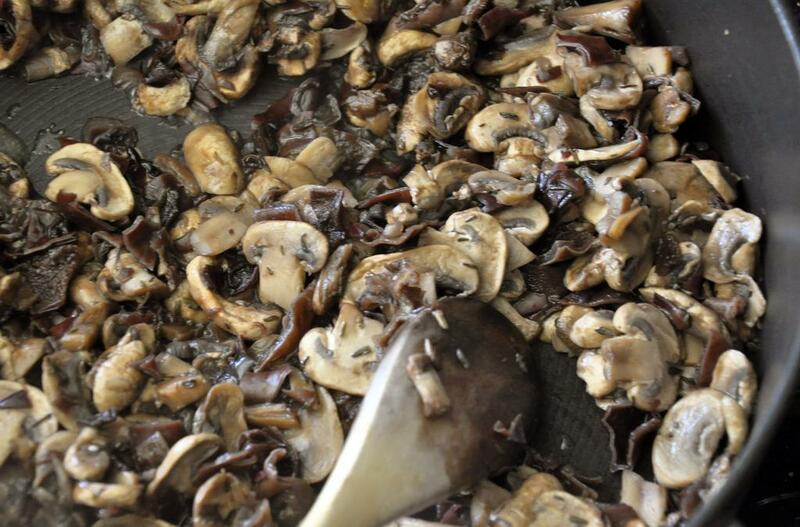 Drain the dried mushrooms, slice any large pieces and add to the pan. Cook, stirring occasionally, until all the moisture from the mushrooms has evaporated, about 8-10 minutes. Remove from heat. In a 2-3 quart casserole dish, sprayed with cooking spray, lay out 1/3 of the potatoes in the bottom overlapping. 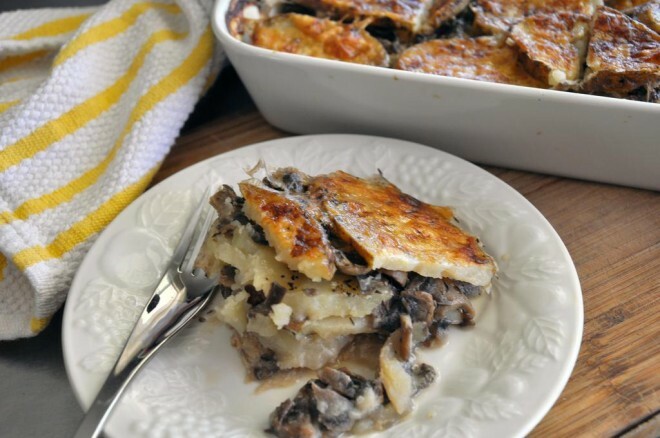 Layer with 1/2 the mushrooms, and 1/2 the gruyere. 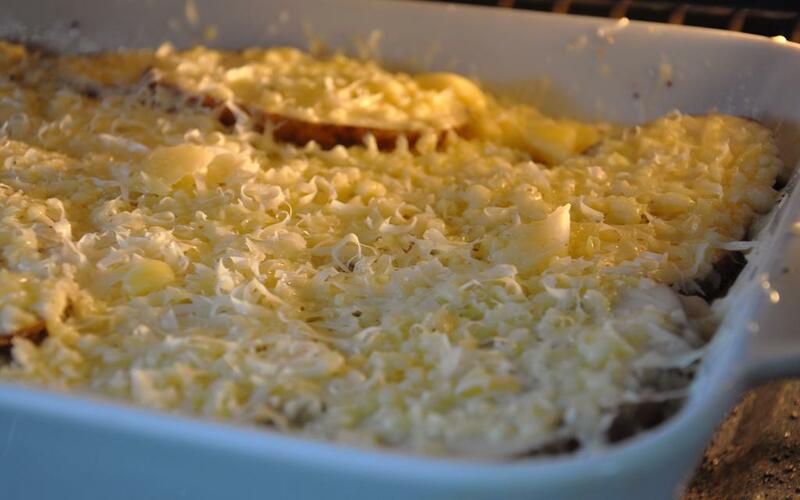 Add another 1/3 of potatoes, laying perpendicular to the first potato layer, remaining mushrooms, remaining gruyere and then finally last 1/3 of potatoes, laid in the same direction as the first layer. Mix the nutmeg into the milk and pour evenly over the mixture. Sprinkle parmesan over the whole dish.